The Spring/Summer 2019 jewellery collection is inspired by charms and talismans, imbued with meaning. 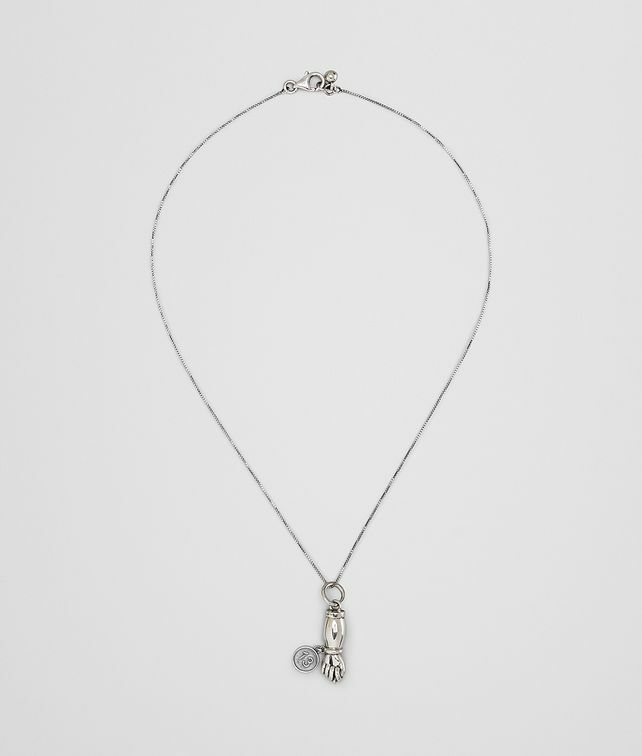 Made of sterling silver with an antique finish, these pendants—a hand with crossed fingers and a small disc with "13"—symbolise luck. Length: 40 cm | 15.7"